Managing finance at a young age and setting guidelines for yourself is quite a difficult thing to stick to, but the faster you take steps to plan your financial needs the better placed you will be able to achieve in your future. Initially, it might be quite difficult to manage the pressure of handling your day-to-day expenses during your college days, but these easy to implement these guidelines can help, as well as avoiding certain mistakes that every youngster is prone to do during their college life. Maintaining a monthly budget would really help you stick to your financial goals. As you create a budget you will be fixed to a certain budget in your mind. So, when you spend something, it’s important to remember this figure and it will remind you of your bills due and balance of money you’re left with. Creating a budget at the start of the month with the help of a budget tracker will ensure you stay focused on how much you spend on an average basis. It also helps you keep track of where your money is going and what your unnecessary expenses are. The more frequently you keep a note of what your spending, the sooner you will be able to plan your financial needs in a smarter way. It’s always good to drop your first expenses into your saving account. This way, you will not be facing difficulties to save money by the middle of the month. Savings are all about thinking of the future: whether that be a rainy-day fund, emergency repair fund, holiday fund or retirement savings. 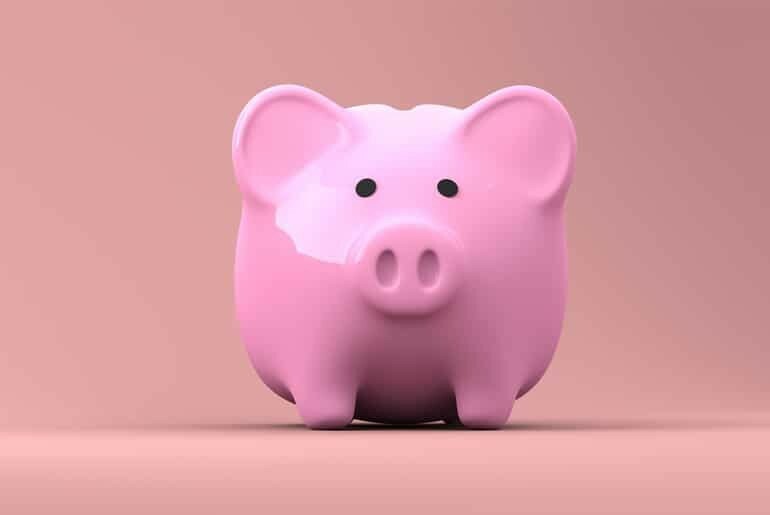 If you’re looking for ways to save money then the Saving’s Goal Article has some ideas on easy methods you can use to start saving money without noticing it. Instead of freaking out later, it’s good to plan ahead and start saving a small amount of money on a frequent basis so think about starting life or health insurance and a pension plan. This builds certainty for the future in your old age or if anything untoward were to happen. Prepare yourself for the future with well-balanced financial plans. Carrying insurance for yourself, any business your involved in and your family, will not only help you during a crisis but also provides you with a good amount of cash balance in the future if you can choose the right policy. Push yourself for the few months to get your savings routine in place and the rest will be taken care of automatically. A credit card makes your life simple and easy to on demand cash requirements but that’s where we all get carried away. Credit cards are basically a way to put you in the lane of debts. One of the best ways to start your financial planning at a young age is to eliminate credit card debt as soon as you can. If in case you are very badly in need of a credit card, then make sure you pay the debts on time without fail. Make sure you are not carried away with adding on interest rates over the small amount of cash to be paid. It is also possible to survive without a credit card if you have planned your budget properly. A young age is the right time to learn new things and to explore them and there are many ways that you can start investing your money. Make sure you find out the correct platform to invest and learn about the different investment plans that are available. If you’re really set on investing then start getting connected to people who are already into it so that you will have a clear idea of what is it about and also find it reliable. Investing money has many advantages: they will help you learn the business as well as allow you to earn money and improve your returns. Avoid borrowing money as much as possible unless it’s an emergency. Try to cut down your expense so they fit within your earnings, after all the more you spend the less you save. It’s always advisable to fulfill your needs with whatever you have and not to go beyond and spend a lot by borrowing from others. If you have plans to purchase house or car or anything like an asset then you’ll obviously need to think about finance. Make sure you check out the terms of the agreement, whilst the interest rate itself may seem low there may be other hidden items, and try to avoid short-term “pay day” loans as you can often end up paying a significant amount more on the actual cash borrowed. When we are young we all like to be a part of the club: partying, gaming and many other interesting parts of a fun-filled life. It might be a great idea to live for the moment and do anything and everything when the mood catches you but you could be leaving yourself problems for the future. Instead of partying constantly, trying to build your career will help you gain more knowledge, acquire a status and allow you to start planning for future. Stop relying on others – whether that be your parents, family, friends of significant other and start by finding a part-time job and try to start being financially independent. Try to pay all your bills on your own like the phone bill, internet bills, credit card debts and also asset loans. Don’t worry – you don’t have to cut off all of your support at once! If you have a supportive financial network, slowly cut down on the amount they are providing you. If you’re relying on credit, cut down on the amount of credit while trying to increase the repayments to clear the debt sooner. When you’re in your twenties, it’s easy to think that money grows on trees, that you’ll never have to face your credit limit and that, as retirement is such a long time away it doesn’t factor in to your spending now. The thing is, if you start good saving and spending habits now, at an early stage of your career then it will set you up for the rest of your life – both professionally and personally. Mary Jones is the co-founder & editor-in-chief at TopMyGrades. She has also authored blogs and many digital publications. She is a part time essay writer for Expert Assignment Help.